Black Friday and Cyber Monday are upon us, check out the great deals and unbelievable pricing at Executive Essentials this holiday season: sales, sales and more sales; coupons; clearance items; free monogramming; and many free gifts with purchase!! Clearance Waterford, Jaguar, Ducati Pens and many other fine pens! Fine Pens! Laptop Totes and Briefcases! Leather Duffels! Agendas, Writing Pads, Wallets, Desk Accessories and more…..all on sale at Executive Essentials! Executive Essentials the holiday gift center for all your favorite professionals. Happy Holidays from Executive Essentials! For the next several posts we will be featuring guest blogger Tracy McCusker.Tracy is an avid pen buff & unrepentant word-slinger. Fascinated with pens from a young age, she converted to fountain pens in 2000 after being introduced to the Parker Frontier and Parker Vector. Today her pen collection numbers in the hundreds. Tracy is a staunch advocate of “going analog” for writing & creative brainstorming. When she’s not hanging out at her local fountain pen shop, her digital presence can be found guest posting at the Surly Muse. While pens are seemingly becoming obsolete by touch-screen technology and ever-smaller keyboards on everything, time spent away from all of the screens that clutter our lives can be invaluable…and a pen can always be an invaluable part of that time. Writing longhand has its own pleasures, which for brevity’s sake, I won’t try to sell you on here. If you are thinking of giving a luxury gift this holiday season, a pen can be a splashy, yet thoughtful, gift for a loved one or friend. A pen need not cost an outrageous amount. While there are some expensive pens (and some very much worth their sticker price), buying a pen doesn’t mean busting the bank. A pen is a very individual tool. What works for one person may not be optimal for another. A buyer should ask themselves some questions to find the pen that fits their recipient best. If you’re familiar with basics of pen-buying (how thin/thick, how heavy, what type of pen, for what type of writer etc), skip on down this introduction for the Penaholic Gift Guide Picks. If you are daunted by the thought of selecting a good pen as a gift, read on. Locate your favorite pen. You know the one I’m talking about. The pen that you reach when you need to write a check, sign a document, or jot down a sticky note. If you are planning to give the pen as a gift, try to scope out your recipient’s usual writing instrument. Take a moment to examine this pen. If the recipient likes thin to medium pens (e.g. a standard office-supply store Bic), you may want to stick to thin or medium pens. If the recipient uses a thick pen, a pen with a cushioned grip, or complains about uncomfortable thin pens–you should avoid buying a thin pen at all costs. Images may provide a clue to the thinness or thickness of a particular pen, but pictures don’t tell the whole story when comparing two pens against each other. You may want to hold one of these pens for yourself at a local pen shop. A good online pen shop will provide a description of how thin/thick a pen is to help you decide which pen is right for you. The second factor to consider is the weight of a pen (whether light or heavy). How heavy a pen is may not matter to someone who uses a pen to sign checks; in fact, the heavier a pen feels in the hand, the more important it feels. If you are buying a pen for an avid journaler, a student, or an office worker who prefers to work non-digitally, lighter pens are preferable because they can be held longer without hand fatigue. Sometimes it takes a bit of research to find out how heavy a pen is. A good pen store may provide a description of the pen’s weight or of the material the pen is made from. Resin and plastic barrels tend to be on the lightest pens. Pens with chrome or brass barrels that are lacquered are usually on the heavy end. Depending on how heavy the pen is, you may prefer to write with the pen cap posted (on the end of the pen) or unposted (off). If losing track of small objects is a concern, it may be prudent to look for pens that are balanced (and feel comfortable) with the cap posted securely on its end. The third factor is the type of pen you are looking for (ballpoint, rollerball, fountain pen, pencil). Does your recipient prefer a type of pen—the smooth ink-to-paper feel of rollerballs over ballpoints, for example? Is your recipient interested in trying a fountain pen for the first time, or maybe they are a fountain pen only collector? Ballpoints are the most-used and most-gifted types of pens. Most people are intimately familiar with ballpoints: they write uniformly; they don’t dry out; their refills are easily available at most office-supply stores. Fountain pens are nibbed pens that are used mostly by enthusiasts who like the richness of their ink and the feel of the nib against the paper. Rollerballs are somewhere in the middle; smoother than ballpoints, they lay down a thick, wet line. Rollerballs do this without the hassles and joys that come with a nib. Once you have settled on the type of pen to buy, then the color, brand, and “look” of a pen be the final set of decisions. The Penaholic’s Gift Guide will help you narrow in on the right pen. 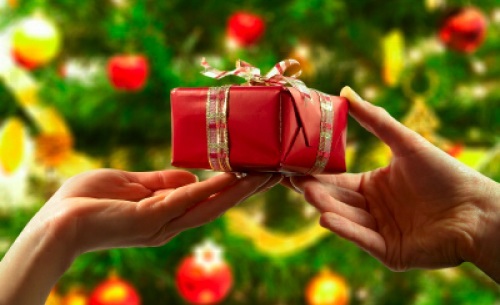 Traditionally, a gift guide is broken up by budget range. I have selected pens for every kind of budget. A good gift pen generally is a pen that writes reliably, has a solid reputation, and/or is stylish or colorful enough to be a pen worthy of gifting. At the same time, a good gift pen will likely please any and all recipients. If you know that your recipient has certain tastes (dislikes the color blue, enjoys colorful pen barrels, wants something high-tech), be sure to check out the entire line of a pen that strikes your eye. Pen recommendations also can differ based on the type of person who is receiving the pen, so this guide provides further recommendations depending on what kind of recipient you are buying for. For a fountain pen under 50 dollars, it is impossible to beat the Lamy Safari. With a distinctive large metal clip on its cap, the Safari has a modern, functional aesthetic. Its thick plastic barrel is light, yet resistant to denting/scratching. The Safari has one of the smoothest steel nibs on any fountain pen; the nib has a generous give (more than the gold-plated steel nibs on Parker Sonnets), rendering a line with subtle variations. The biggest draw is that the Safari has one of the least-scratchy extra-fine (EF) nibs for those of us searching for the holy grail of both a thin line and smooth pen-to-paper experience. Unlike some other pens of its size, The Safari is actually balanced to write with the cap posted or unposted. Its faceted grip provides a comfortable grip that is larger than a standard ballpoint/gel pen, but still comfortable for note-taking or journaling. Though the Safari range comes in multiple colors (including the Al-Star which is a very attractive purple), the clear Safari Vista demonstrator is the pen of note in the line. Not only is the feed system to the nib visible, you can also see how much ink is left in your cartridge/converter through the clear pen body. Demonstrator fountain pens are themselves a collector’s item; for the money, the Vista is the cheapest demonstrator that a budding pen aficionado can get on the market. This pen would be perfect for prolific writers, or recipients that enjoy functional German design. It is hard to find a good rollerball below 50 dollars, as my previous favorite rollerball on the market was bumped up to the next price bracket thanks to the upward creep of prices. I was, therefore, more than surprised to find two selections for under 50 to replace it. The Tombow Object has a brushed aluminum body that resists smudges and other minor blemishes. It’s tapered grip with rings make holding the Object easier than smooth, but the rings may begin to bite if you grasp your pens too tightly (I cling to mind like I’m drowning). The bright color of the Object makes it a cheerful companion for long study sessions, and the two-tone black Object looks just slick enough to be a fashion statement, just formal enough to use in the office. If you have a few more dollars to burn, Parker offers a slightly more upscale rollerball in the Parker Urban. The curving line of the pen body, coupled with its signature arrow clip, is the kind of touch that I have come to associate with Parker. Parkers tend to be on the heavier side, and while I have never held an Urban in my hand, I would bet that the Urban (with its chrome appointments) would feel more solid in the hand than the aluminum Towbow. The Urban looks awkward with its posted cap; it is probably meant to be used with the cap unposted. The Parker also gets a thumbs up for its refill track record. Parker rollerball refills are usually superb; they aren’t finicky, or spotty like Waterman rollerball refills traditionally are. Overall, I would recommend the Tombow for fans of brightly-colored pens or technical pens. The Urban is recommended for recipients looking for a more executive touch to their pen (and who aren’t likely to lose pen caps). This is the pen that I would ask for from my loved ones. The Aviator is a lovely twist-action ballpoint that clocks in on the smaller side (around 5 inches), with a substantially thicker body than most ballpoints of similar size (the Aviator is thicker than the Cross Century or the Waterman Hemisphere). The thickness is slightly less than the Lamy Safari. The body is made of resin, making it lighter than the metal/chrome pens at the same price point. The Aviator has no dedicated pen grip, so maintaining a comfortable grip over long writing intervals may be tricky. The Red, White, and Blue Tie are, to me, the signature colors in the line. The tuxedo look of the single band of color below the clip is appealing—and quite unlike any other pen luxury/executive pen that I have bought. It looks elegant (reportedly even lovelier in person) and would not be out-of-place in a shirt pocket or a leatherette pen case. Like many international pens, the Taccia uses Parker refills, making it easy to find a refill that will match your writing style (Monteverde and Visconti ballpoint refills will fit this pen). Parker also offers gel refills that can make your ballpoint into a rollerball, making the Aviator one versatile pen. I recommend the Taccia Aviator for someone looking for a classy ballpoint to replace their cheap pens at work or to find a pen that looks equally good signing a contract as writing in a personal notebook. Up Next, Pens From $50 to $100. This is part two in our three part series by Tracy McCusker.Tracy is an avid pen buff & unrepentant word-slinger. Fascinated with pens from a young age, she converted to fountain pens in 2000 after being introduced to the Parker Frontier and Parker Vector. Today her pen collection numbers in the hundreds. Tracy is a staunch advocate of “going analog” for writing & creative brainstorming. When she’s not hanging out at her local fountain pen shop, her digital presence can be found guest posting at the Surly Muse. In an effort to help our loyal fans and customers find the perfect pen gift this season, Tracy has put together an in-depth guide culled from the experiences of her own pen obsessions. Last week she talked about buying pens in the up to $50 price range. This week she tackles luxury pens in the $50 – $100 price range. Take a look at her suggestions. For the 50 to 100 dollar range, most fountain pens start to have steel nibs that are worth writing with. The Lamy Studio and the Libelle Nature Mosaic are both pens that come from well-respected pen companies. The pens mostly differ in their outward aesthetic. The Lamy Studio is a reserved German modernist design that prioritizes smooth lines over outward flashiness. The Libelle Nature Mosaic, on the other hand, has a glorious retro flourish from its chrome Grecian-inspired trim and its inlaid pearlescent resins. The Nature Mosaic from Libelle Pens is most likely similar to the Regatta or Paloma from Monteverde Pens which also use inlaid resins—a heavier pen, more likely to be used for shorter tasks… or to sit on a desk as a piece of functional art rather than to be used as a heavy workhorse. The Lamy Studio would fit comfortably into an artist, designer, or writer’s hand. The Libelle Nature Mosaic would be a great gift for someone who liked a retro touch of elegance on their home office desk, or in front of their yellow legal pad. The Cross ATX Rollerball (and its smaller cousin the ATX Ballpoint) are the number one gift pen that I give out to friends and loved ones. I have given these mostly on the occasion of graduations—their serious exterior brings to mind the idea of future success—but they work as holiday gifts too. The ATX gently tapers at the ends to create a subtle and beautiful profile that is reminiscent of the Cross Verve (a discontinued pen; it would have otherwise earned its own spot on this gift guide). The ATX’s chrome appointments don’t overwhelm the pen’s final weight; it feels very comfortable in the hand. I have heard a few complaints about the chrome grip being slightly too slick for some folks with damper palms, but I have personally never had a problem with the pen being slippery or hard to hold, even after marathons of frantic note-taking. Cross pens are quality instruments. My oldest ATX has taken 10 years of beatings from being shoved into bags, jammed between desks, and run over by my office chair with little wear or chipping. Still, the ATX should warrant gentle treatment; with good care, this pen could easily last me another ten years. Cross rollerball refills are some of my favorite; they are dark, quick drying, and provide a reliable line. The ATX is an all-purpose pen to give to anyone who enjoys writing. I’ve given mine to grads; the pen will look equally classy writing out notes to the latest novel as it is for doodling proofs to Fermat’s Last Theorem during lunch break. It should come as no surprise that this guide is biased towards thicker pens; however, for the lover of thin pens, there is the Cross Spire. Cross’ classic style thin pen is a staple amongst luxury gifts. If you’re familiar with a thin, silver or gold pen, adorning pockets of office workers around the world, you know what the standard Cross has to offer. However, Cross has recently revamped its classic look in the Cross Spire; even I am tempted to return to trying thin pens (even though the fat ones are much better for my carpel-tunnel addled wrists). The Gold, Black, and Silver cross-hatched Spires are like dressed-up Cross Century pens; hardly any weight, and a bit tricky to hold for long periods of time. The Black & Red Spires are the ones that really catch my eye. They’re like the classier big brothers to the Cross Sport, with an eye-catching triple ring around the twist-action mid-section and the glossy lacquer that makes me such a big fan of the Cross ATX. The Cross Spire is useful with calendars, planners, journals, or any other leather accessory that might have a pen loop. The Spire, as a thin pen, fits well into compact spaces. If your giftee is a fan of thin pens, the Cross Spire is a must-buy. 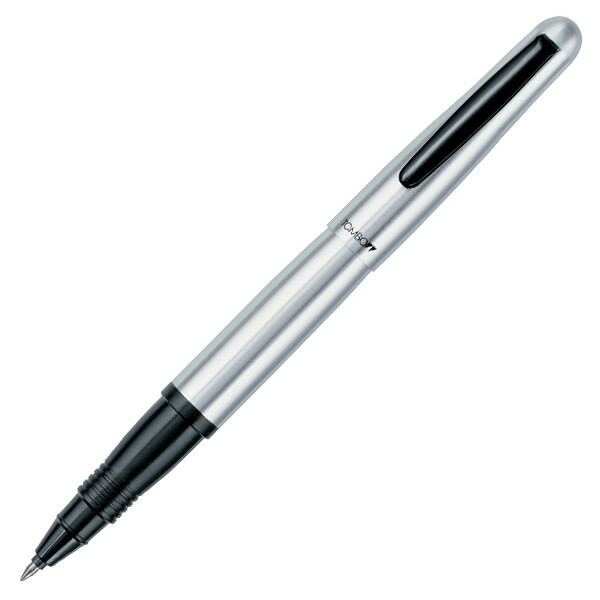 So take the time to browse the Executive Essentials catalog to see these great gift pens. Also, remember to come back and hear Tracy’s suggestions on pens over $100. Not to be missed! This is part three in our three part series by Tracy McCusker. Tracy is an avid pen buff & unrepentant word-slinger. Fascinated with pens from a young age, she converted to fountain pens in 2000 after being introduced to the Parker Frontier and Parker Vector. Today her pen collection numbers in the hundreds. Tracy is a staunch advocate of “going analog” for writing & creative brainstorming. When she’s not hanging out at her local fountain pen shop, her digital presence can be found guest posting at the Surly Muse. We’ve come to the part of the guide where the gifts are a little more expensive as we explore pens in the $100 to $200 range. So sit back and enjoy as Tracy reveals some of her favorite pens in this range. The Cross C-Series is a pen which does not get nearly enough love. It is my favorite pen under two hundred dollars. The aggressive chrome stylings on the C-Series have been called a masculine, an ode to chrome obsession. There is a mechanicalness to its design, but the C-Series strikes me more as “modern design” than “masculine.” The cap screws on in one of the more innovative systems I’ve seen. If you or your intended recipient can get their hands on the pen at a showroom or store, I’d recommend giving the pen a test-drive. The Cross C-Series is a very heavy pen. It is one of the heaviest I own, rivaled only by two very heavy Waterman pens (the L’Etalon and the Carene). I was sold after writing with the Monaco Blue C-Series and comparing it against every other pen in its price range. None of the others felt as smooth on the page. The C-Series rubberized grip is also a novelty at this price-point, but it keeps long writing sessions comfortable despite the pen’s weight. As a word of caution, Cross steel nibs can start off a little scratchy (toothy we call it), but a good nib will become smooth with use. The Pelikan M205 is the smallest of its numbered series (which spans from 200 to 1000). It fits perfectly in my hand (which is diminutive). The larger numbered series (for example, the 600 @ $304.00) may be a more comfortable fit for larger-handed folks; however, the price increases as the pen size does, so it’s always important to ask, can this smaller pen work for me? While the grip area (delineated by the notches where the cap screws into the body of the pen) is the smallest I’ve seen on a pen when the cap is posted it feels like an average-sized pen. The M205 has a steel nib that has a bit of tooth that gives the nib character. The M200 sometimes can be found with a smoother gold-plated steel nib; however, the nibs in the 205 should be interchangeable—and can be ordered separately from the pen if it doesn’t suit the user’s taste. The Cross C-Series is recommended to everyone, even though its appearance may put off giftees (and givers) at first. This pen may need to be tried in-store before the giftee appreciates the workmanship of the pen. The C-Series is especially recommended for persons who love aggressively-styled pens. The M205 is recommended as a good value pen, as it is made with the same precision as its more expensive brethren. As an added bonus, the M205 can be found as either a demonstrator or a highlighter pen (which uses its own special highlighter ink). If your giftee likes luxury pens for a purpose other than just taking notes (who doesn’t love a good highlighter? ), the Pelikan M205 might be the right choice. The Visconti Rollergraphic, or Eco-Roller as it is known in other circles, and the Parker Ingenuity are both unconventional rollerballs. The Visconti is filled with a cartridge or converter like a fountain pen, thus able to use your favorite inks (or to allow you to enjoy/try a much wider range of colors or inks that would normally be available to you). The Visconti Rollergraphic is inside the resin body of the Rembrandt line. Like the Van Gogh line, the Rembrandt has a light resin body that has a rich depth of color when held up to the light. No picture will fully capture the play of subtle colors in the resin, so if you can see a Visconti in person, do so! The “Eco-Roller” is thusly titled because if you are using the pen with a converter, you are wasting less plastic/metal/ink by not buying and disposing of refill cartridges. The Parker Ingenuity, on the other hand, is not a rollerball at all. It uses its own unique refills that are like a combination of the rollerball, porous point, and fountain pen. The pen has a metal nib (that really serves like a hood). If I had to peg what this pen was closest to, it would be a rollerball since it is trying to have “the best of all worlds,” as the rollerball was between the ballpoint and the fountain pen. I have no experience with the Parker Ingenuity, aside from my favorable experiences with Parkers in the past. What the Parker Ingenuity is, is exciting. It’s a new piece of pen technology. The conversations that it might start when someone asks to borrow it might be worth the price alone. The Visconti Rollergraphic is recommended for eco-conscious giftees who don’t want to make the leap to fountain pens. The Parker Ingenuity is recommended for early-adopters willing to take the leap without long-term feedback on how the “5th technology” of this new pen works. The Waterman Carene is one the most elegant pens that I’ve laid eyes on in the past fifteen years. Compared to any pen on this list, or in a high-end pen catalog, the Carene has a stand-out design. Its barrel is a heavy brass overlaid with lacquer that tapers into a rounded end. The characteristic Carene black button isn’t featured on the ballpoint; nevertheless, it retains the curvy, graceful profile distinctive to the line. The Carene ballpoint is heavy, but it has gotten lighter with successive generations. My chrome-trimmed Carene from 2007 is noticeably lighter than my gold-trimmed Carene from 2002. The pen comes in two different kinds of lacquers, the glossy lacquer featured on the Amber Shimmer and the matte lacquer featured on the solid-colored chrome trim pens. These lacquers create two different kinds of pens. The glossy lacquer pens are a bit slicker to hold. The glossy lacquer has some self-healing properties that hide small scratches. My ten-year-old glossy Carenes show remarkably little wear. The matte lacquer pens, on the other hand, feel more comfortable when writing at length because there’s a bit more “grip” to the surface. The downside is that the matte surface shows nicks and scratches very easily. Two of my matte-lacquered pens have started chipping badly due to poor care. If you decide to invest in a matte lacquer Carene, please do yourself a favor and purchase a pen case for it! Unlike some of the other workhorses on this list, the Carene needs to be given the care that a luxury item deserves. The Carene is recommended for pen lovers, avid writers, and those that can give appropriate care for their writing instruments. This is a pen that needs to be taken care of! Gifts are sometimes the best way to introduce an avid writer (or someone who could become one) to fountain pens. There is a great joy in putting a nib to paper. But we don’t all rocket from the ballpoint world right into the 18K top-of-the-line fountain pens. 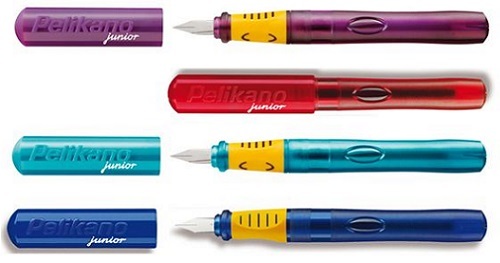 For a young writer (or someone who just likes big bright colors), the Pelikano JR is a good introduction to pens that aren’t the standard mass-produced disposables. The Pelikano JR has a smooth Pelikan steel nib (reportedly the same nib on the slightly-more-expensive P58). At such a low price-point, it’s not a big deal if the Pelikano nib suffers some wear & tear… actually, maybe you should consider buying two. For a teenager/student looking to get into pens, the Parker Vector is a good jumping-off point into one of the major pen manufacturers. The Vector has a nice black & chrome modern styling in its latest offering, a steel nib that can take the punishment of a heavy hand. Starting fountain pen users often write more heavily (or too lightly) than the pen requires. The Vector is very forgiving as the writer experiments with their writing. The Vector isn’t perfect—make sure to flush the nib before filling it (look up how to do it before putting the nib under running water). The Vector will be scratchier than most good pens. If the Vector isn’t visually appealing, the Lamy Safari always can make a good entry pen too. The Namiki Vanishing Point is expensive for a starting pen. It is over a hundred dollars. However, the Vanishing Point is aimed at those who might already be comfortable with fine pens. Specifically, with click-push ball pens that are a staple of the office since the arrow clipped Parker Jotter was introduced in the 50s. The click-mechanism of the Vanishing Point makes the fountain pen much more familiar to the average writer. The VP’s nib is semi-hooded—it writes uniformly and doesn’t dry out quickly. Namiki-Pilot sells replacement nib for these pens, so mishaps from dropped pen are minimized (as a side note: be sure to make friends with your local fountain pen repair shop!). It’s a good place to get a ballpoint enthusiast on the fountain pen wagon or to at least dip a toe into the world of nibs, converts, and ink bottles. The Visconti Impressionist Collection and the Visconti Opera are stunning pens. Visconti’s resins are, in a word, amazing. When you hold the Impressionist under the light, the layers of resin create a depth of color with a touch of translucence. The Visconti Opera’s swirls are equally striking. Unlike other pen companies that use plastic resins, Visconti uses vegetable resins as their color base, creating unmatched beauty. I know. I’ve held them. My Visconti Van Gogh constantly surprises me with its richness in color compared to the lacquers and resins of other brands. Impressionists are pieces of art to display on a desk, in the hand, in a pen stand. The resins of the Visconti barrel are by no means delicate, but they’re not as up to the rough-and-tumble as metal-bodied pens are. If you insist on using them at the local coffee shop / on the slopes of Mount Lassen, be sure to protect them adequately from loose change or other small objects that could scuff their surfaces. The Carenes, on the other hand, beg to be displayed everywhere. Take them wherever you go; write with them wherever you write. I’ve already gone on at length about the ballpoint so I will keep my comments short. The Carene fountain pen is a pen for the ages. Unlike stiff Visconti nibs, Carene nibs are impossibly buttery. The inlaid nib on the pen body means that the nib is protected from drying out quickly. I have owned three Carene fountain pens, and each one was of fantastic quality. Carene gold nibs don’t need to be broken in. They write like champions out-of-the-box. The word of caution is for the weight of the Carene. The fountain pen is heavy and is meant to be used unposted. Nevertheless, I am confident that if the look of the pen entices you, the Carene will likely become your favorite pen. If you have your sights on a Waterman rollerball, may I politely suggest otherwise? Waterman rollerball refills are notoriously erratic. While you may be able to find alternative refills that fit the pen, I would just as soon recommend Visconti rollerballs over Waterman. The giftee who loves pens (or more generally) out of the ordinary, there are pens that may fit their personality. This list is by no means extensive; I encourage you to shop around to find something that fits their personality (do they like beads? Crazy colors? Strange patterns?). I’ve selected three pens which fit three different types of giftees. These pens throw traditional pen wisdom to the side. The Fjader Ballpoint looks like a feather. I’ve never seen a pen quite like it—bulging to one side and tapering to a point; it certainly stands out from the crowds of tube-pens or fish-eye cigar-shapes. Being a ballpoint, the Fjader is a giftable pen to any and all who write. The Fjader low-price makes it tantalizing as a stocking stuffer, or as a gift to those who already collect pens and might appreciate how this harkens back to crow quills. The Monteverde One-Touch & Stylus reminds me of the bright colors of the Tombow Object and the stylings of Retro 51. What earns it a spot on this guide is that until other traditional pens, it acts as a stylus for modern touch screens and it provides handy ink-based writing when the stylus won’t suffice. Even though I don’t have any touch screens, the small knob on the end of the pen actually seems to make the pen look better than the One-Touch without the stylus. For the tech-heads who need a stylus, or the design-heads who just think a pen might look funny without one. The Lamy Dialog Ballpoint had to be included because the pen looks like the future. Twenty-five years in the future, pens probably will continue to be modern, retro; doughty and elegant; restrained and loud as they do now. However, with the Lamy Dialog, your giftee can pretend to live in a different future twenty-five years from now. One that’s boxy, white-on-gray and more than bit retro-futuristic–much like 60s architecture in LA. Check out the other Lamy Dialog pens. There is a different design for the ballpoint, rollerball, and fountain pen. The ballpoint is my favorite, but perhaps another might strike a chord with you! It’s probable that there is someone on your gift list that has pain in their hands. Sometimes after a long day typing, the most relaxing thing to do is to unplug from the computer. Maybe catalog the day in a journal. But it’s hard to do this if you have carpel tunnel, arthritic joints, or other pronounced hand pains. My go-to pen of choice after long days of typing is Sensa’s Cloud 9 ballpoint. The gel grip on this pen feels angelic; it is a comfort after hours of hitting hard plastic keys. The cushioned grip is also quite thick, forcing a looser grip to be used when writing. For giftees who have deeper problems than stiff joints, the Yoropen may be an appropriate tool for them. The Yoropen has a unique (and kind of crazy-looking) design that relieves pressure on the hand by changing how your grip transmits pressure to the tip of the pen. If someone you know is suffering carpal tunnel or other joint-related problems, the Yoropen may be the best choice of pen for them. I can think of no greater gift than giving the gift of pain-free writing to a benighted writing enthusiast. Phew. And that’s it for this holiday pen gift guide. We hope you’ve enjoyed Tracy’s in-depth gift guide as much as she enjoyed writing it. Don’t be shy about asking questions or leaving comments. Both are appreciated. And good luck out there finding the perfect pen gift for that special someone in your life this holiday season. Hey, folks! Guest blogger Tracy McCusker is back again. This time with some great suggestions for graduation gift pen ideas with a step by step outline of what to look for and a list of favorites at the end. Take a look. The graduation season is upon us. Big box stores are sprouting pyramids of seasonal pen sets. Pen shops, usually empty but for pen connoisseurs, welcome the flocking parents & loved ones looking for the traditional graduation gift: a respectable and luxe pen to signify success and future professionalism. In my opinion, pens make for the best graduation gifts for high-schoolers, college grads, professional school grads and beyond. Pens are more practical than similarly-styled “executive” items like watches, journals/planners or silver-cast desk stands which in this day and age are style/status statements your graduate may not share. As a parent of a graduate, what looks professional or managerial to you may look outdated or stuffy to them. Luckily, pens can successfully bridge the style gap between “old-fashioned” and “stylish”. Even the most paperless adherent can use a good pen to prop up on their desk, or a pen/stylus to interface with paper and technology. A gift pen can embody any range of moods (restrained, luxurious, playful, flashy) that the gift-giver wishes to convey to their graduate. Despite the burgeoning supply of pens at this time of year, buying a pen does not become appreciably easier during graduation season. The effusion of gift pens aimed directly at graduation gift shoppers if anything makes the choice harder. With these issues in mind, I have cribbed a short list of pitfalls that you should avoid to help you select the best pen possible for your grad. And because what guide would be worth their salt without some suggestions, I will give a few suggestions at the end of the article. 1. Don’t buy a fountain pen. Do buy a ballpoint or rollerball pen. If you read enough of this blog, you will know that I am the leading cheerleader for introducing writers to the joys of writing with a nib & ink. However, for a graduation gift, a fountain pen should be off the table. A fountain pen is an investment in time, money, and effort. Fountain pens require upkeep. They also have so many variables that relate to the nib & the writing style that the owner will need to keep in mind, you want to leave all of this baggage for a different purchase. For this purchase, give fountain pens a pass. If you see a fountain pen that has a style you can’t tear your eyes away from, consider buying the rollerball for your graduate instead. 2. Don’t shop by price. Do shop by form/function. The biggest mistake I see when parents set foot in a pen shop for the first time is that they come in with a set budget (100, 200, whatever dollars) and ask to see pens at the maximum of that price range. Many will confidently exclaim to be taken to the most expensive pen in the store. This is a huge mistake! Not only will the most expensive pen be in the thousand dollar range (rather than the hundred dollar range), expensive does not automatically mean “better looking” or “better writing experience”. Instead, shop by the look and feel of the pen. Look at pens across a range of brands and prices. Try out a skinny Cross Century, a fat Waterman Expert against anything in the Montblanc line. If you are looking at pens in an online shop, there are usually guides that break pens by price and other categories (like unique pens or luxury pens). If you are using prices guides, make sure to look at more & less expensive ranges than what you’d ideally like to spend. You never know if the perfect gift may be more or less expensive than you imagine them to be. Consider very closely what kind of function this pen will serve in the next few years. Will this pen be going to a high school grad who has years of note-taking and dorm-hopping ahead of him/her? Will this pen be going to a college graduate who is looking to go into high-status professional training for business or law? Will this pen be going with a college graduate out into the workforce? What kind of functions will be most useful for each of these scenarios? 3. Don’t buy a pen set. Do buy a single good pen. Pen sets are aimed at graduate gift shoppers looking for a “dignified” pen at a low price. Although these pen sets appear to be nice to graduates who are used to using chewed-up Bics, pen sets are usually fairly cheap-looking affairs. They show their wear easily. While their prices might sway you into thinking that they are a good bargain, I am more wary of the fact that you are usually buying a second-tier brand (like Franklin Covey) that has put a mediocre (and rather bland) pen and pencil together. Pen sets that actually would be worth your money are generally expensive because they are two well-made pens (or pen and pencil) together. A good pen set could be hundreds of dollars more than you will be willing to spend. Rather, a better use of your gift-buying dollars would be to research a single pen that has been well-engineered, and will still look classy years down the line. If you happen to find this pen in a pen set (Retro 51 has pen sets that are quite classy) and the price is right, then by all means. 4. Don’t buy a pen without seeing reviews. Buying a pen online can be a tricky affair. Pens that appear fat/large/heavy online may turn out to be thin/small/light in person. Even experienced pen buyers can be surprised. A case in point: I have been buying pens for more than twelve years. When I picked up the Cross Sauvage for the first time in a pen shop, it was surprisingly light and small in my hand. I was, honestly, disappointed by it. I expected heavier and flashier, as most Cross pens fall on the extremes of thin/feather-weight or thick/lead-weight. If you can, make a trip to a pen shop to view, hold, and compare pens. 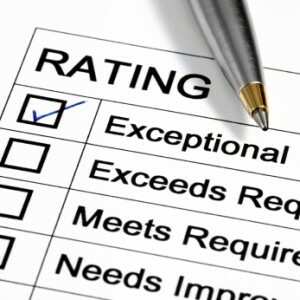 If a pen shop visit is out of the question, then look for pen reviews that compare the pen’s size and comments on its weight. Or, if you are dealing with an independent seller, ask questions about its feel/size compared to an average hand. 5. Don’t buy a pen whose refills will be impossible to find. This “don’t” has become less important with time, now that online pen shops offer the ease of refill purchases for most to all of the major manufacturers. It is still a truism that Cross, Parker, Waterman and Montblanc refills are the easiest to find in big box retailers like Staples. Other pen manufacturer refills may be harder to lay hands on. One of the important things to check is what kind of refills are used by the pen. Some second-tier pen brands use Cross refills (as they are actually manufactured by Cross for the mass market but put under a different brand to not tarnish the “luxury” Cross brand). Certain brands of luxury pens like Libelle and Monteverde are compatible with Parker refills, and can easily be refilled. But some brands that might be found at vintage pen sellers, or from second-hand retailers may be nearly impossible to track down. A vintage Cross may not be refillable with modern refills. Recife, a French pen brand that does not sell pens in the United States, refills are as common as unicorns. Handmade pens may have similar difficulty—unless the pen maker specifies what kind of refill he or she bases their pens on. Be very wary of “no-name” brands. If you don’t know what a no-name brand might be, do a quick Google search on it. 6. Don’t buy a pen that will be good for one circumstance. Do look for a pen that will be at home in a range of circumstances. A “one circumstance” kind of pen is a pen that is usually bright, colorfully, and “moody”—maybe it’s a good note-taker, but it doesn’t look particularly attractive. Or it’s beautiful enough to put on a pedestal but not practical enough to use. Or maybe it’s made from a novelty material (sewed-up leather, chain mail) that only the recipient can appreciate, but isn’t interested in using it in public. A good graduation pen will be one that will be functional for a variety of circumstances: taking it to an interview, using it to take notes, admired on a desk and in their hand. This is a high order for a single pen to fulfill. It’s one of the reasons that graduation pen sets all start to look the same. A pen that can be used across a range of circumstances usually has a fairly restrained style: a lacquer body, a classic pen profile, chrome or gold appointments. Although I will normally advocate pens that off the beaten path, a graduation pen can be both classically beautiful and fairly unique. 7. Do consider one of the following pens. This list is by no means extensive. How could it be? Your graduate will have his or her own sense of style, and practical needs. Do take these into account when selecting a pen. But ultimately, remember, the choice is up to you. Nothing is more surprising and rewarding than a well-thought-out gift. Tombow Object. Good for note taking. Can stand up to abuse. Colorful yet restrained with good lines. Catches the eye with its clean, modern design. It is not a luxury pen. Its silhouette recommends a person that is more interested in design, functionality, practicality than an unnecessary luxury. Tombow Ultra. Good for note taking. A step above the Tombow Object in terms of price. With its chrome body, it has more of the classic pen look/feel to it. However, it is clearly not a luxury pen. It appeals to someone who is interested in a pen built to last. Cross ATX. My personal choice of graduation pen. I’ve given at least ten of these away to friends over the years. Cross is easy to refill, well-manufactured, able to stand up to decades of abuse. They look classic in any situation. Visconti Rembrandt. A luxury pen that clocks in around 150 dollars. Their arched clip is distinctive and sets them apart from the field. A Visconti is impossible to forget. The subtle resin in the Rembrandt means that it is a touch playful, even as its styling is at home in the most professional of settings. I also recommend that you browse around this blog, which has buying advice aimed at other situations but may still yield good recommendations. Check out my previous gift buying guides for Christmas. Just keep in mind that a graduation pen has a different kind of weight attached to it—a quiet dignity, a sense of pride and hard work. A gravitas. Failing that, you could always buy your graduate an Acme pen shaped like a No. 2 pencil.